Technology should make our life better, easier and safer. And yet, medicines, pesticides, nanotechnologies, biotechnologies et cetera, may represent a potential threat to health and environment. Some of the new technologies might be safe for most, but they could still be harmful for vulnerable individuals, communities or ecosystems. Since decades, science established that the risk posed by a certain intervention depends on the recipient. Few things are universally safe or universally dangerous. Despite of this fact, it is not easy to include the local context in the scientific risk assessment of an intervention. This task has met some persistent challenges, which have not been solved by traditional scientific methodology. How can we study causal complexity and interactions through separation, isolation, and addition? How to study all relevant causal knowledge through quantitative approaches and measurements? How can we safely predict propensities of individual patients or communities using statistics and probability theory? We argue that these are not simply practical shortcomings of the current scientific methodology. On the contrary, we propose that the limitations are at a much deeper level, and cannot be overcome by only revising the surface. Particularly, we need to revise the way we conceptualise causation. 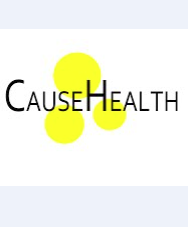 In this new CauseHealth paper, Anjum and Rocca show how adopting a dispositionalist view of causation would influence the scientific risk methodology, by giving absolute priority to the qualitative assessment of the local context.